There were 39 units listed, 22 units reported sold, a 95% Sell Price to List Price percentage, and running at an average of 49 days on market. 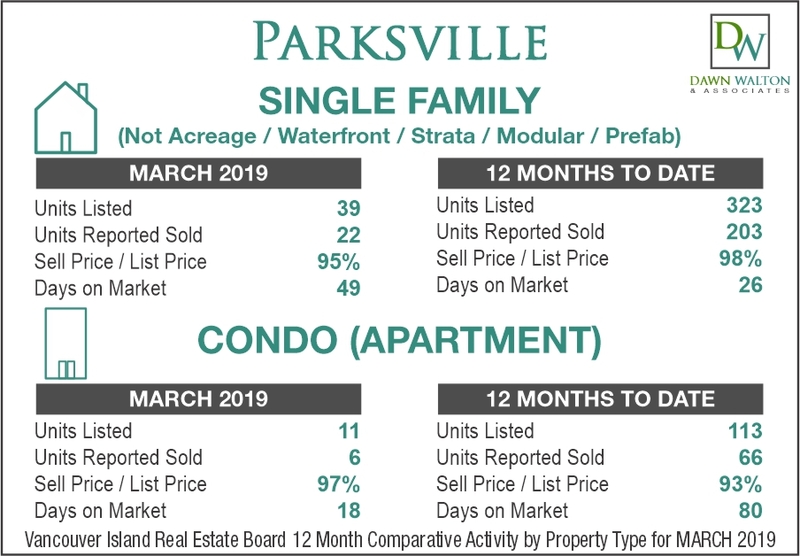 Parksville Market Stats for Apartment style condos for March 2019. 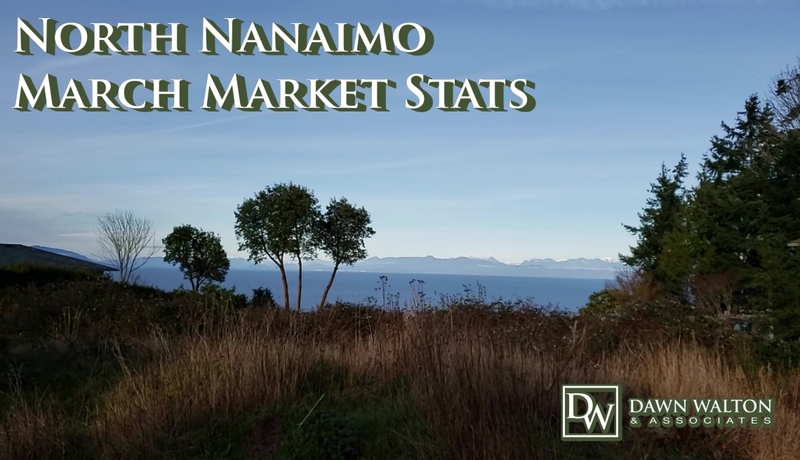 There were 11 units listed,6 units reported sold, a 97% Sell Price to List Price percentage, and running at an average of 18 days on market. For single family homes, there were 5 units listed, 2 units reported sold, a 99% Sell Price to List Price percentage, and running at an average of 24 days on market. There were 18 units listed, 6 units reported sold, a 97% Sell Price to List Price percentage, and running at an average of 40 days on market. 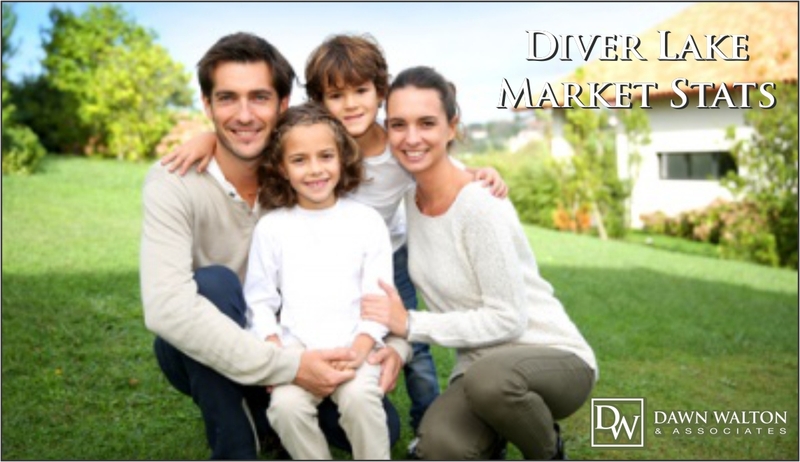 For single family homes, there were 58 units listed, 20 units reported sold, a 96% Sell Price to List Price percentage, and running at an average of 55 days on market. North Nanaimo Market Stats for Apartment style condos for March 2019. 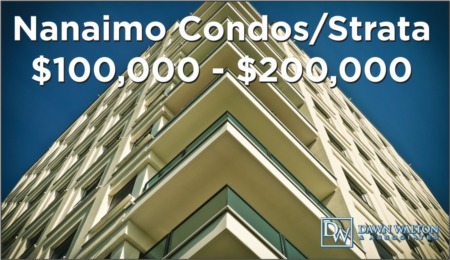 There were 10 units listed, 13 units reported sold, a 98% Sell Price to List Price percentage, and running at an average of 27 days on market. In lower Lantzville for single family homes, there were 3 units listed, only 1 unit reported sold, a 99% Sell Price to List Price percentage, and running at an average of 79 days on market. In Upper Lantzville for single family homes, there were 5 units listed, only 1 unit reported sold, a 99% Sell Price to List Price percentage, and running at an average of 17 days on market. 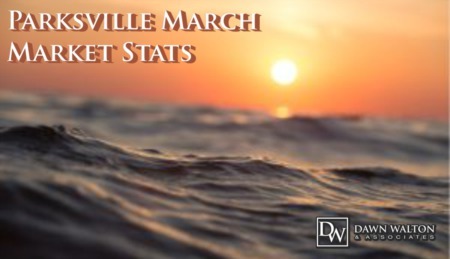 For single family homes, there were 24 units listed, 18 units reported sold, a 98% Sell Price to List Price percentage, and running at an average of 49 days on market. 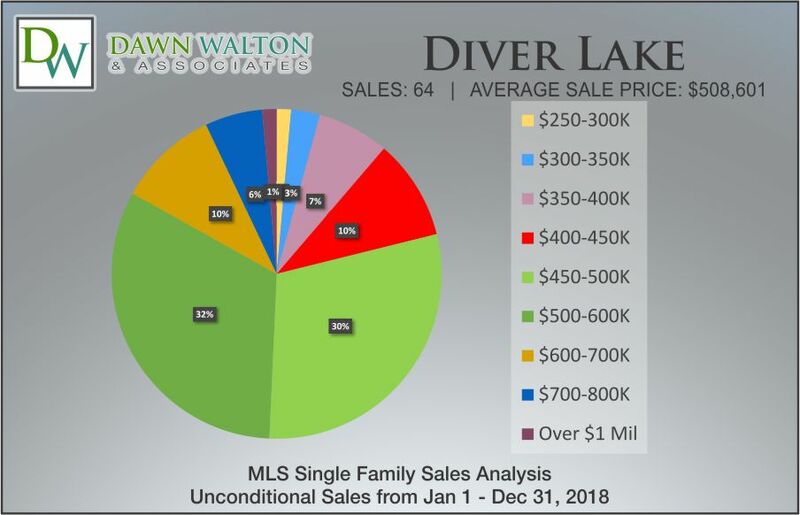 This makes the stats for the last 12 months to date, 231 single family homes listed, 161 reported sold, with a 97% sell price to list price ratio and averaging 34 days on market. There wasonly 1 unit listed and 0 reported sold in March 2019. 12 months to date there were 15 units listed, 13 units reported sold, a 98% sell price to list price ratio and averaging 32 days on market for apartment style condos in the Ladysmith area. In the North Jingle Pot area, there were 5 units listed, 2 units reported sold, a 99% Sell Price to List Price percentage, and running at an average of 12 days on market. In the South Jingle Pot area, there were 3 units listed, 2 units reported sold, a 99% Sell Price to List Price percentage, and running at an average of 16 days on market. 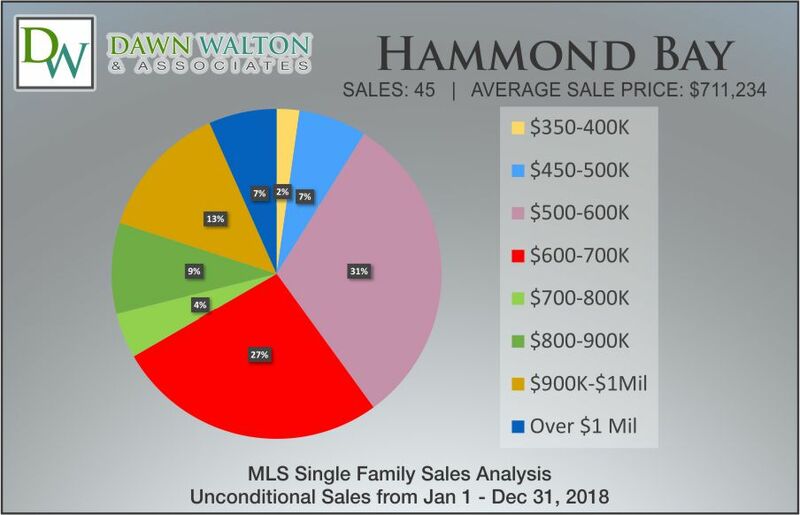 There were 7 single family units listed, 4 units reported sold, a 98% Sell Price to List Price percentage, and running at an average of 14 days on market. 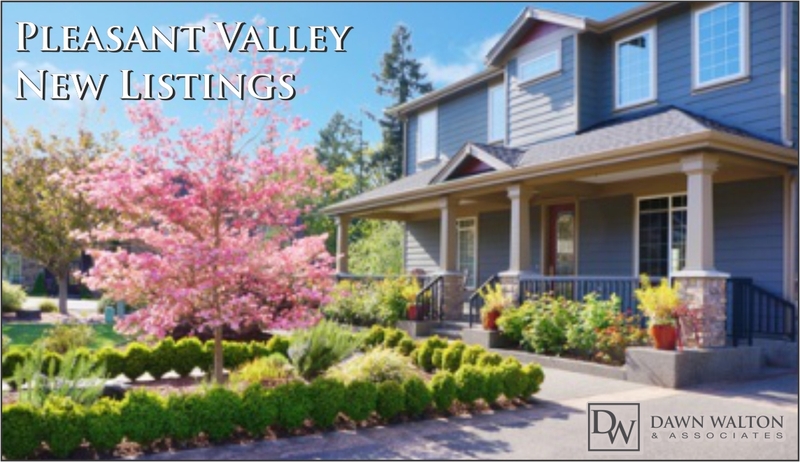 There are currently 18 single family homes in the Pleasant Valley area ranging in price from $369,000 for a 5 bedroom, 3 bathroom home (5350 Metral Dr, MLS #451632) with 2,681 square foot house to $759,000 for a 6 bedroom, 5 bathroom, 2,993 square foot home (5282 Somerset, MLS #451957). For March 2019 there were 9 units listed, 3 units reported sold with a 100% sell price / list price percentage and averaging 22 days on market. 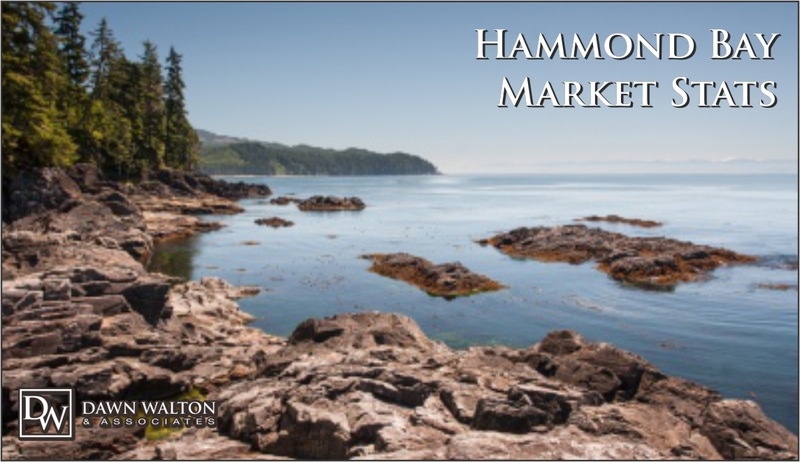 Call us at 250-740-0978 or fill the form below if you have questions about the Nanaimo Real Estate Market, the worth of your home or your home search. There were 7 units listed, 5 units reported sold, a 98% Sell Price to List Price percentage, and running at an average of 47 days on market. There were 17 units listed, 9 units reported sold, a 98% Sell Price to List Price percentage, and running at an average of 18 days on market. 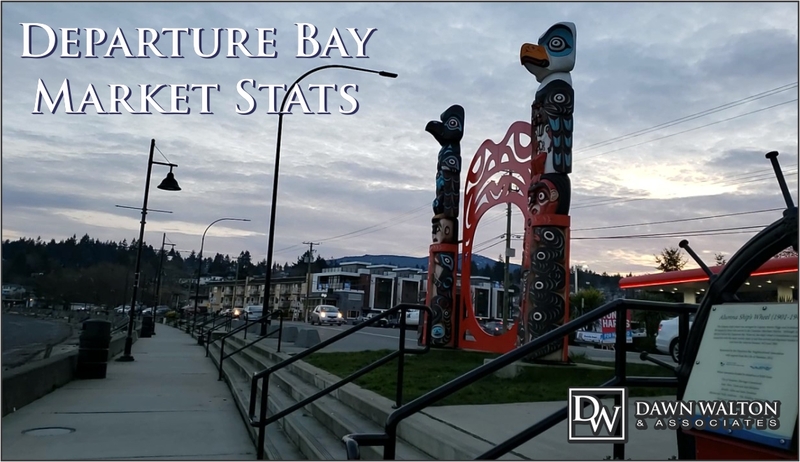 There were 2 units listed, 3 units reported sold, a 92% Sell Price to List Price percentage, and running at an average of 42 days on market.